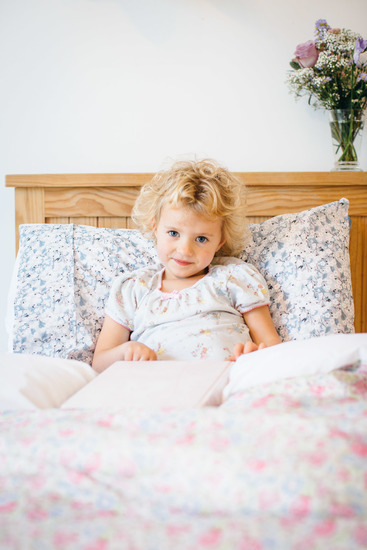 Poppy and Honesty is a handmade British brand that creates beautiful bedding, homewares and accessories exclusively from Liberty of London cotton. We combine classic prints with contemporary design to make products that look gorgeous but are functional and will stand the test of time. Our bedding range is particularly special and luxurious. Handmade from Liberty of London Tana Lawn Cotton with it's silk like texture it feels dreamy against the skin and yet is practical to launder. We have selected some wonderful prints from the imaginative and whacky Queue For The Zoo to the nostalgic roses featured in Nina. Our collection is designed to co-ordinate together and you can create your own bespoke look by chosing the prints that you love. Whether you like dizzy florals or muted contemporary tones, we have some lovely fabrics for you to chose from. Our bedding range is available in two sizes, cot and single. Everything is handmade from start to finish in our home in pretty Cornwall. We hope you enjoy our gorgeous range. Many of our products are made to order so please allow up to 7 workings days for your order to be dispactched. Thankyou for your patience.